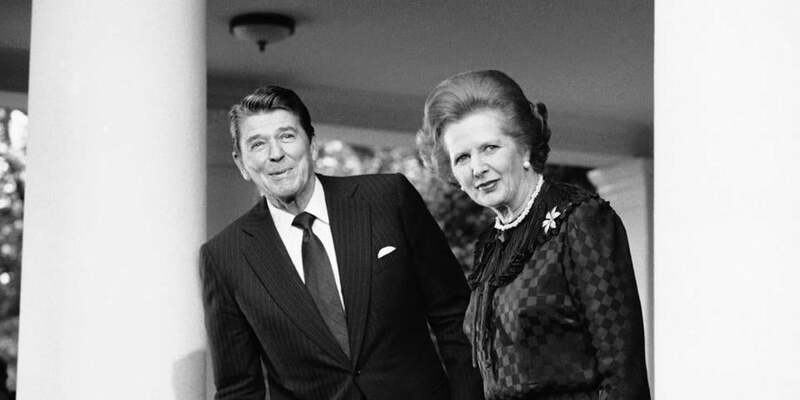 Margaret Thatcher and President Ronald Reagan in 1982. 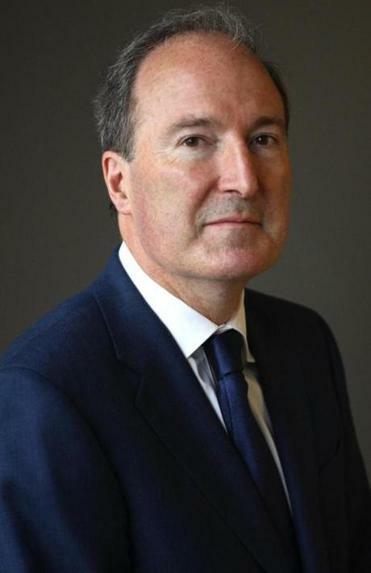 In 1997, Charles Moore received an offer no biographer could refuse. Margaret Thatcher’s advisers were prepared to let him rummage through her private papers; to examine still-sealed government documents, often containing her handwritten notes; and to sit down with her and anyone else (he ended up doing 315 interviews). The only condition was that the book not appear during Thatcher’s lifetime. It’s an incredible level of access, with the only recent analog being Edmund Morris’s for “Dutch,” his 1999 biography of Ronald Reagan. Now, after Thatcher’s death in April, Moore’s book has arrived. “Margaret Thatcher: From Grantham to the Falklands’’ is the first of two volumes, and it presents a remarkable and richly detailed portrait. And yet at times the subject can seem strangely out of focus — something that may prevent American readers from enjoying the book as much as their British counterparts. The former prime minister, Moore notes, lived “a life with no space for self-examination.” This is mostly a compliment. Thatcher was born in 1925 — a grocer’s daughter, as she tended to point out when it was convenient. She was a diligent student, winning scholarships to grammar school, then to Oxford. Based on more than 150 letters from Thatcher to her sister, Moore also reveals her to be a teenager with all the normal obsessions: movies, clothes, parents, boys. This time, Thatcher won. She campaigned relentlessly, speaking at 130 events in just over six months. That same blend of ambition and effort pushed her up the Tory ranks, and in 1970, the year Edward Heath led the Conservatives to victory, Thatcher became his education secretary. A few years later, Thatcher challenged Heath for control of the party. Heath’s operatives decided to circulate an interview where she mentioned stocking up on nonperishables — a symbolic blunder, given England’s struggles with inflation. In response, Thatcher cleverly leveraged her femininity: “Well, you call it stockpiling,” she told one radio host, “but I call it being a prudent housewife.” Then she invited the reporters over to inventory her larder. That’s not a bad summary of Thatcher’s style, and it works for Moore, as well. His extensively notated book skimps on storytelling and context in favor of short anecdotes, rotating quotations, and archival tidbits. The data flow in ceaselessly, like waves. A good thing, then, that this volume, at 758 tightly worded pages, is roughly the size of a life preserver. Even with all this research, however, Moore never quite captures Thatcher or her inner life. This may be Thatcher’s fault. “I don’t know why I was so staunchly Conservative,” she told Moore in one of their interviews. “I think it was the idea of my father that you can get on somehow.” Moore could find only one person who remembered debating politics with her at Oxford. He shows again and again that Thatcher treated her pioneering struggle against sexism the same way she treated her father’s grocery store — as something to invoke or ignore, as needed. The Thatcher camp had probably hoped for something more admiring when they chose Moore, who has long been sympathetic to Conservative causes. Instead, it will fall on the next round of biographers to write the hagiography and the hit pieces. Those biographers will owe a Big Ben-size debt to “Margaret Thatcher” (and to Moore’s second volume, which will pick up the story in 1982). Still, it’s worth noting what this means for American readers, who, after all, lack the civic imperative to read it. This is not the sort of biography one gives on Mother’s Day. Better to think of it as another British classic, the Oxford English Dictionary — a wonderful reference book, teeming with original work. Craig Fehrman is working on a book about presidents and their books.